December is proving a very fruitful month for breakfast quests. Surprisingly, these quests haven’t been motivated by a succession of hangovers, as this has been one of the most abstemious Decembers on record, although I hope to rectify that somewhat, over the course of this week. So, it was with tip-top taste-buds that I wandered towards work, along Rose Street. 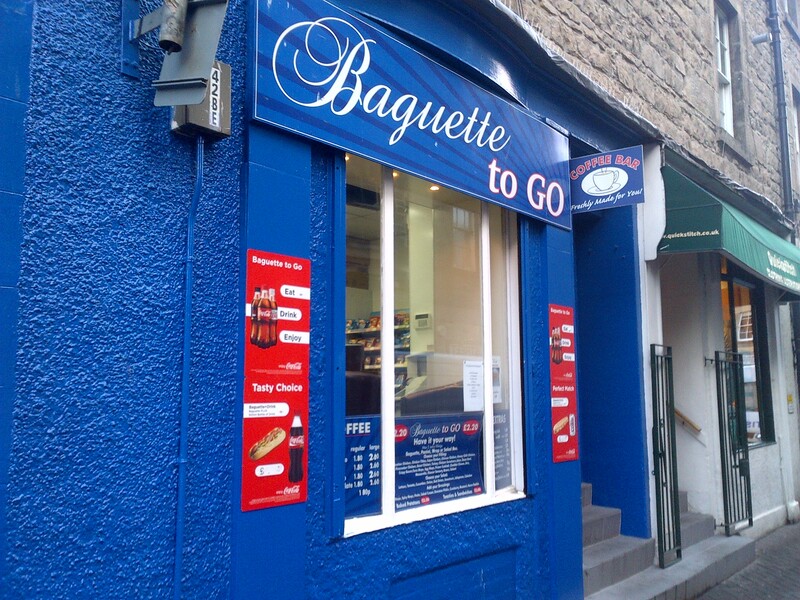 I’ve sampled rather a high percentage of the places, so it was a wee while until I came across Baguette to Go. 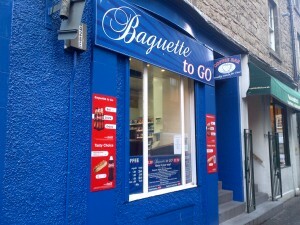 This blue liveried shop is somewhat along the same lines as the Thistle Sandwich Bar: simple, no-nonsense, tasty grub. My demands today were very simple. I had a strong hankering for a bacon roll. The place was quite quiet, when I entered, as I was wandering past at the mid-morning lull. It meant that I was immediately served. The fantastic counter lady was full of banter, having a had a rather inauspicious start to the week, having spilt a cup of tea over herself, earlier in the day. She shared her tale of woe as she piled three rashers of good back bacon on a nice fresh morning roll. 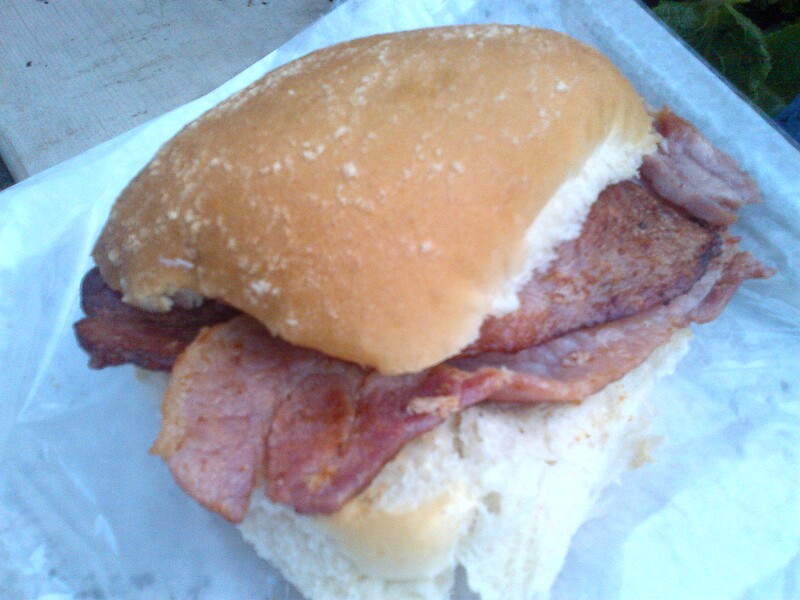 With a topping of brown sauce, as per my requirement, I was soon on my way along the road, with a mere £1.40 required to secure this tasty prize. Having paused to take a quick photo, I tucked in as I walked. I was as good a bacon roll as I’ve sampled, recently. The bacon was plentiful and packed with salty goodness. The fruity sauce added a pleasing accompaniment, and the roll was just grand. I was a happy chappy. So, Baguette to Go served me very nicely. I’d happily make this my regular bacon roll stop, as and when I require that item. It gave the impression of offering decent lunchtime options at a reasonable cost, too, so I’ll need to pop back and try their soup, at some point soon.